Indulge in scuba diving and snorkeling to discover underwater marine life. 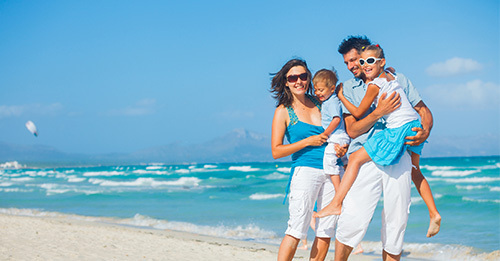 Explore the unspoilt beaches, some of the best in Asia. A quiet getaway for those who want to explore the Andaman Islands. Special offer for 3 nights stay. Special offer for 5 nights stay. Located right on the waterfront, Sinclairs Bayview is Port Blair's only hotel to offer spectacular views of The Bay of Bengal from almost all its rooms. Refreshingly environment friendly and functionally decorated, the hotel is a quiet getaway for those who want to unwind and explore the Andamans. The hotel is 15 minutes away from the airport and the town’s shopping center. The hotel's 46 rooms and suites are more than sea facing; they are virtually on the sea, opening out to the crystal blue Indian Ocean waters. 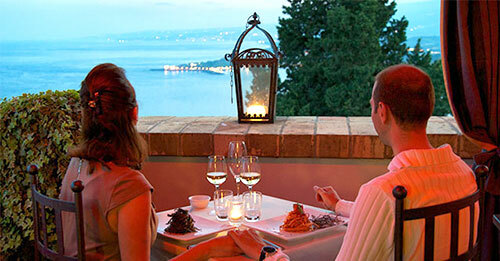 The Valentine rooms offer views of the blue ocean on one side, and Ross Island on the other. The sea facing multicuisine restaurant has an open view to the garden surrounded by palm trees. A covered deck allows you to feel the cool sea breeze and hear the sound of waves. The Spanish bar has a relaxed old world ambience and offers snacks and drinks. Private candlelight dinners can be organised for your birthday or anniversary. On special request, we serve meals at the terrace adjoining the main reception area. The freshwater swimming pool is open all year round. Our conference room is a unique pillar-less wooden house entirely made out of recycled wood. Guests can also rejuvenate at The Peraquam Spa which offers different types of Ayurvedic treatments, Thai/aroma massages, scrubs and facials. 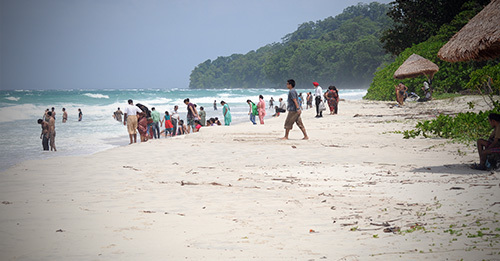 Few may know that the Andaman Islands were occupied by the Japanese for a few years during World War II. An attraction that is rare to find in any hotel in the world, is a Bunker made during the war which is located inside the hotel, with its canon still in place! Port Blair is an inviting holiday destination round the year, and is a base to explore the Andaman Islands. The blue sea, rain forests and clean tropical air make it an ideal destination for nature lovers. For adventure aficionados, there’s scuba diving and snorkeling to discover under-water marine life and rare varieties of corals. Excellent arrangement done for visit to various places and very good hospitality. Staff at the restaurant are exceedingly good, Sanjay in particular. Overall it was a very good experience.